A compilation of world music celebrating the light of the season. Please note Arlington Radio Station WERA 96.7 FM broadcasts GloBeat every Thursday at 6 PM and Sundays at 10 AM. STREAMING NOW or you can listen anytime to any recent WERA programs you may have missed by linking to ON-DEMAND. For a change of pace enjoy a moment of quiet music, listen to the new GloBeat Tranquility. #JujiroIshiharu #Vangelis #NinaSimone #JimmyScott #EddyMarnay and more! from Baku to Rio de Janeiro, from Istanbul to the old Berlin. #DjangoReinhardta #StephaneGrappelli#TangoJointz. #BrickBassy #LianeFoly and more! #EdithPiaf #NaomiChiaki #LeTroan#DenysBerezhnyi #BergeTourabian and more! Enjoy some great Chinese artists, both old and new, including some from the Chinese diaspora, and others. Please note Arlington Radio Station WERA 96.7 FM broadcasts GloBeat every Thursday at 6 PM and Sundays at 10 AM. If you are outside of the Arlington broadcast footprint you can stream the program by linking to STREAMING NOWor you can listen anytime to any recent WERA programs you may have missed by linking to ON-DEMAND. The new GloBeat Tribute To Cole Porter pays homage to his genius as a composer and lyricist. Rediscover with pleasure the performances of Cannonball Adderley Patricia Barber Jazz Musician Miles Davis Ella Fitzgerald Bryan Ferry Oscar Peterson Holly Cole Nana MouskouriNina Simone Julio Iglesias #FredAstaire #ColePorter #BeaWain Tony Bennett #KevinKline & #AsleyJudd and more! Caetano Veloso Mísia#YoshiroNakamura #GatoBarbieri and more! New GloBeat July ’18 Mix is an eclectic compilation of music from folk, to fado, to morna, pop and even opera! Discover some great artists like I Muvrini #GoranBregovic Bonga Teofilo Chantre Cristina Branco Jorge Neto Samira Said Natalie Cardone #IsmaelLo#Bevinda and more! 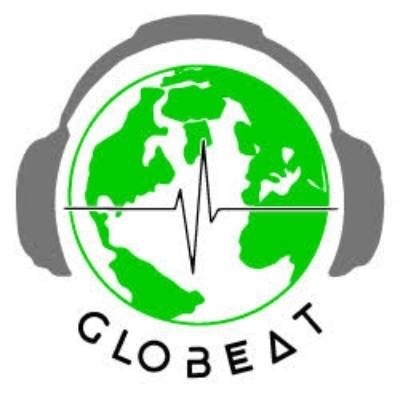 Celebrate Summer by streaming GloBeat Summer Mix Rebroadcast. Please remember that Arlington Radio Station WERA 96.7 FM broadcasts GloBeat every Thursday at 6 PM and Sundays at 10 AM.If you are outside of the Arlington broadcast footprint you can stream the program by linking to STREAMING NOWor you can listen anytime to any recent WERA programs you may have missed by linking to ON-DEMAND.